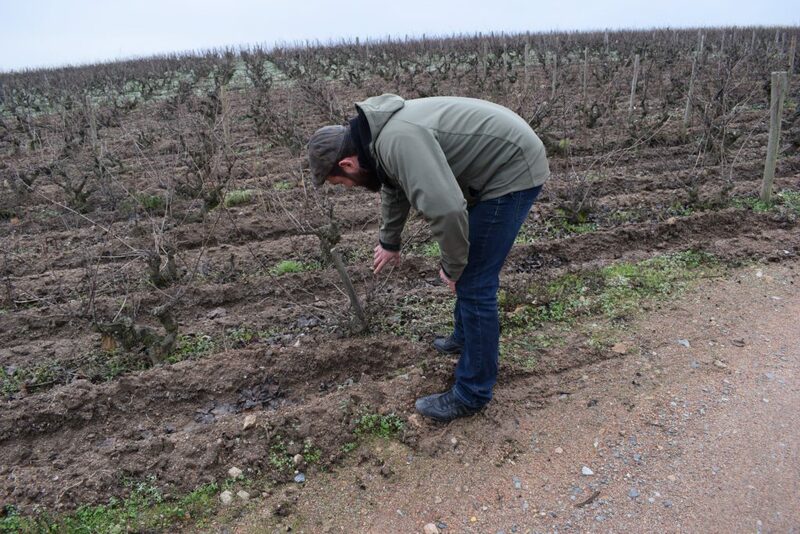 So artisanal is the inaptly named Château Grand Pré that we cannot find it! Twenty minutes ago Bev and I left Fleurie’s Place de l’Église on the D68, driving past the Auberge du Cep, heading for the border with Chiroubles. But in spite of Bev jumping out and knocking on various houses, we cannot find it. Eventually she phones our host, Romain Zordan, who laughs and tells us he will pick us up. About thirty seconds later he arrives, we turn the car round and minutes later arrive at an old farmhouse that we have already driven past twice. Duh! 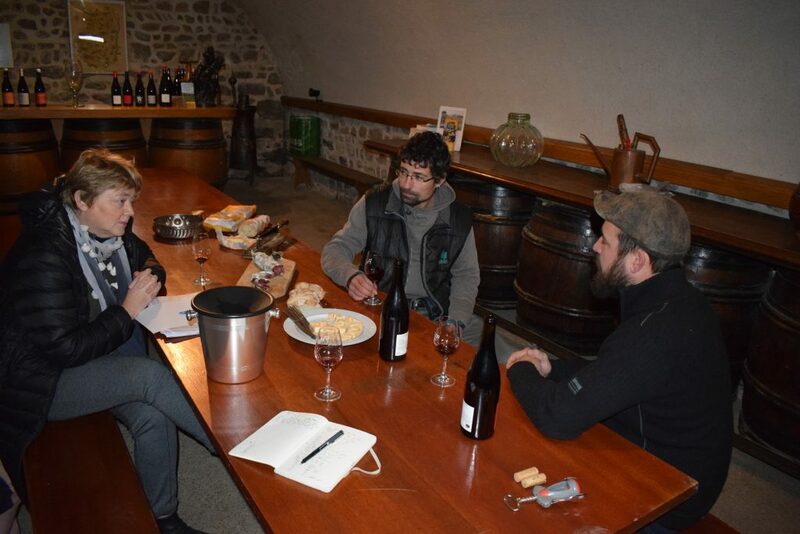 Natural wines are the subject of some debate. For some they represent winemaking at its most pure; for some critics the wines are simply undrinkable, some of them, they swear, tasting like cider and smelling of old socks. The choice of not adding sulphur (or to add it only in minute quantities) is what causes a lot of the fuss. Sulphur acts as an oxidant and without it, the critics say, the wine simply turns yellow. Certainly you get a lot of curious flavours in natural wine. 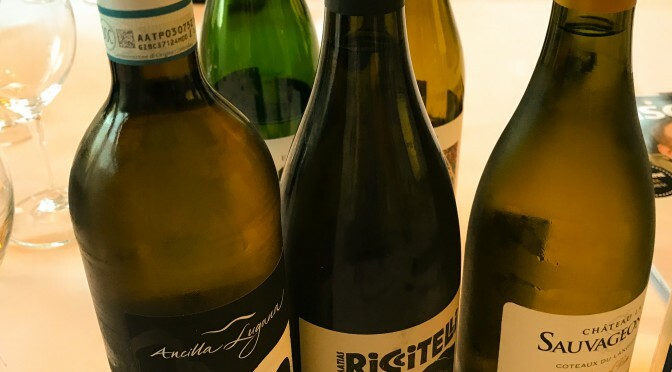 But equally, they can be some of the most exciting wines you will taste, with a purity of fruit that is unrecognisable in more commercial offerings. There is no question which side Romain is on. He shows us vines which are 80, 90, 100 years old. He prunes by hand. No herbicides are used. He ploughs round the vines throughout the year to limit weed growth, encouraging the vines to dig deep, to reach down to the granite. Yields are low: about 25 hl to 35 hl depending on the vintage. Wild yeasts. He explains all this with the loud and slightly manic passion of a visionary while the two of us shiver. 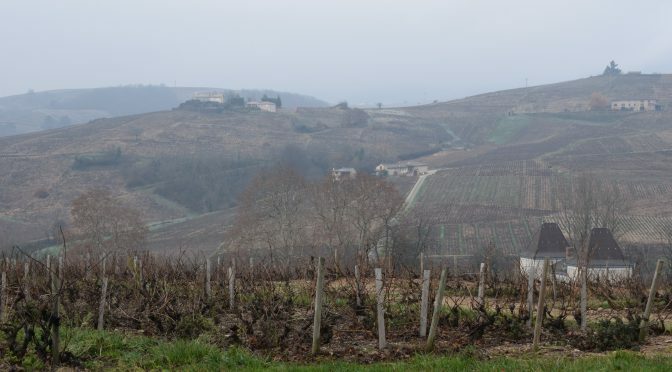 In twenty years of visiting Burgundy I have never known it so cold, and much as I love the Beaujolais countryside, I am dead glad when he takes us into a renovated cellar where he has laid on a lunch of bread, Munster cheese and saucisson. I normally eschew food during tasting, but I am famished and this just looks so French that I tuck in. As does the Master of Wine. The Fleurie 2017 has a huge, ripe, sweet fruit nose, with really intense flavours in the mouth. Liquid jelly. They didn’t do carbonic maceration because hail destroyed half the vineyard and they weren’t able to fill the tanks. Half full bunch and half destemmed (although Romain pronounces it “steamed” and for a second I think he’s invented some amazing winemaking technique.) Soft, flowing tannins. A magical bottle of wine. The Morgan 2017 has a much funkier nose. Lots happening in here, the merest hint of reductiveness on the nose. But in the mouth all traces disappear and you have a rich chocolatey mouthful. Simply gorgeous. The Cotes de Brouilly 2017 underwent full carbonic maceration and is the chunkier of the three wines, imbued with the flavours of the famous blue granite, which gives it a vibrant violet character. But, unbelievably, it has a “lifted” quality, as if the wine is floating above the ground. I cannot do the quality of this wine justice. Better still, the vibrant acidity of the wine cuts through the salami and cheese perfectly. We are in picnic heaven. We then brave the cold again as Romain takes out round the back of his cellar to an old warehouse where he keeps his canary-coloured tanks. And then it is back outside where he opens up an old shipping container in which he keeps a few barrels of white. The sample shows this wine to be good but not in the same class as his reds. Incongruously, this container is parked on the edge of a house in which Franck Duboeuf and his family live. 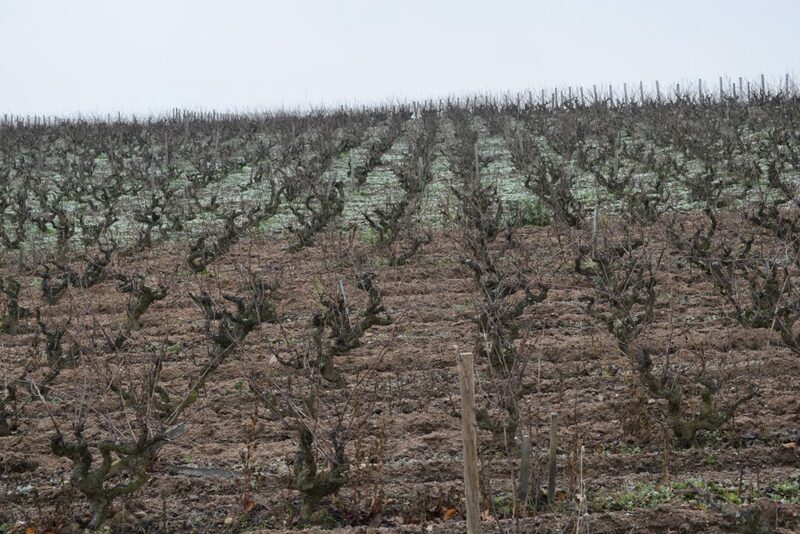 No-one has done more to promote the wines of this glorious region than Franck’s father, Georges Duboeuf. I know: I used to work for him. And while the differences between Duboeuf’s and Grand Pré’s wines couldn’t be greater, both offer excellence in their own way. But I have never felt such excitement in Beaujolais as that which feel now, sitting munching my cheese and salami in Romain’s little cellar. These wines are brilliant. They are uncompromisingly brilliant. The purest juice I have tasted on the entire trip. Previous PostShabby ChicNext PostWinemaker profile: Roberto Echeverria Jnr.